The first time I heard someone argue that they wanted to dismantle free movement within the EU because of their concern about how it discriminated against non-EU migrants, it was a UKIP politician on TV, on election night 2015. As a non-EU migrant myself, I wasn’t exactly feeling the love from UKIP, and laughed it off as an obviously disingenuous excuse from a right-wing racist. In 2017, the ground has shifted. I have begun hearing an eerily similar same argument from activists and politicians in Labour. Most of these left-wingers are surely more genuine in their intended concern, but does this argument add up any better coming from the mouths of progressives? 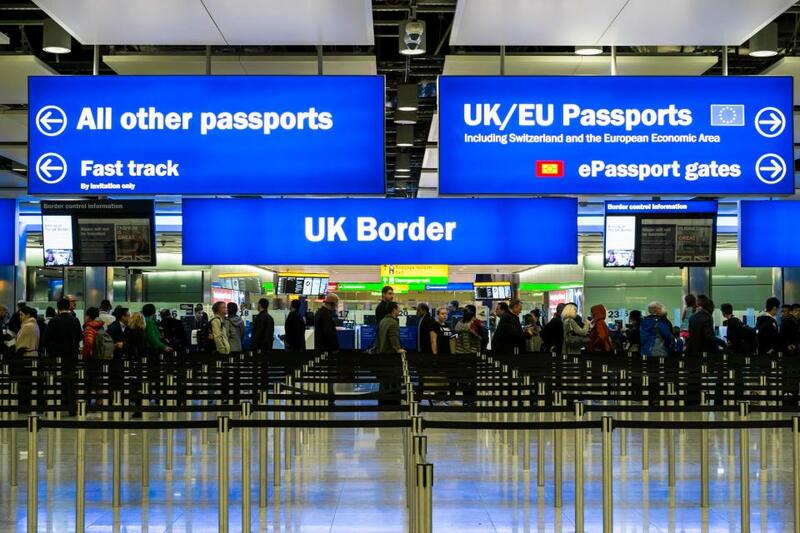 Non-EU migrants that have a temporary leave to live in the UK are left without safety nets that most take for granted in their everyday lives; we do not have access to public funds, we have to pay a surcharge in order to use the NHS, and we often have to register and give our addresses to the police. We also face an endless incomprehensible system, a system designed to be as complicated as possible, in order to gain a visa, and to keep or extend it. Meanwhile, for those who do not have the “privilege” of a temporary visa, forced to live without basic protections in day to day life, problems are much greater. They are often pushed into the most precarious jobs, they have to stay in them regardless of poor conditions, under total control by their bosses, or access to a safety net if they got sacked. For those without visas, access to healthcare, accommodation, and fair wages and conditions is unstable, and if something goes wrong, it can go really wrong. For some time now, citizens of countries that are members of the European Union have enjoyed greater rights to move, work, and set up a life in other European countries. Even those in more precarious jobs often have the freedom to organise (as far as that goes in Tory Britain, with rights to organise limited for all workers). The divide between EU migrants with greater rights, and non-EU migrants with fewer rights is an arbitrary line, based on geography and political alliances of wealthy countries. This divide is not fair, and it is, like all borders, intrinsically racist. However, stopping freedom of movement within Europe is in no way going to burn down the walls of “fortress Europe”. Levelling down EU and non-EU migrants does non-EU migrants no favours. On the contrary it would increase general anti-migrant rhetoric that is just as detrimental to non-EU migrants, and it stops EU migrants from being able to organise to change the conditions for migrant workers. Equality should not mean that EU migrants should face the same problems that non-EU migrants face, it should mean that all workers are able to have a safe and decent life anywhere, regardless of their nationalities. It is a myth in itself, as there is a difference in the rights which each have, that limiting the movement of European people will make all migrants equal. The greatest division, and perhaps the most important one, that taking rights away from EU migrants will not tackle, is class. Border controls are already set up to favour the richest. With student visas, non-EU citizens are only allowed to work a set amount of hours and, even then, we can only work during term time. This makes it impossible for non-EU international students to earn a living while studying, favouring those that have enough money to afford not being able to work. There is an entire category of visa for people that can invest millions of pounds into government bonds or UK companies. And for pretty much all visas we have to prove “financial capacity” of ourselves, our parents, or our spouses. The only solution to migrant inequality is tackling issues of class; allowing all migrants, both EU and non-EU migrants to work and organise without fear of repercussion, so that we can organise to prevent all workers, domestic and foreign, from exploitation.